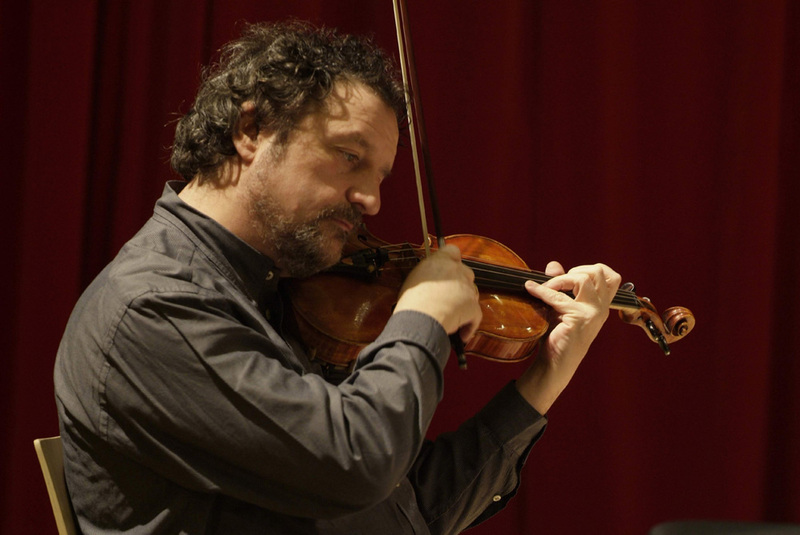 Eminent European violinist and faculty member of the Vienna University, Pavel Vernikov studied with David Oistrach and Semyon Snitkovsky in Moscow and is a winner of the Munich International Competition and Vittorio Gui Grand Prix in Florence. As soloist and member of the Tchaikovsky Trio, Mr. Vernikov performs in major concert halls in America, Europe, and Asia, including Concertgebouw in Amsterdam, Carnegie Hall in New York, Kennedy Center in Washington, Wigmore Hall in London, Salle Gaveau in Paris, Accademia S. Cecilia in Rome, and La Scala in Milan. He is engaged in highly acclaimed concert series across Europe and Asia and collaborates with many great artists including S. Richter, C. Zimerman, J. Galway, C. Ivaldi, A. Meunier, P. Gallois, M. Tipo, N. Gutman, O. Kagan, Y. Bashmet, E. Virsaladze and A. Pay. Founder of the Russian Academy for Professional Musicians in Portogruaro, Mr. Vernikov teaches advanced courses at the Scuola di Musica di Fiesole and the Kuhmo Violin School in Finland. He conducts courses and seminars at the Paris Conservatory, Stuttgart Hochschule, Rubin Academy in Tel Aviv and Casals Festival in Prado, Mozarteum Salzburg Festival, Orfeo Music Festival, and Eliat Festival. Pavel Vernikov has judged major international competitions. Mr. Vernikov’s recordings include such labels as RCA, Ondine and Dynamic. He plays a Gianbattista Guadagnini (ex Contessa Crespi, ex Brengola) violin, Piacenza 1747, of the Fondazione Pro Canale in Milan.